The Duchess of Cambridge wore this fitted peplum dress from American designer Lela Rose for a cocktail reception at Government House in Canberra during the 2014 Australian Royal Tour. This was the first occasion we had seen Catherine wear this label. The linen-blend sheath dress is from the Spring 2012 collection. 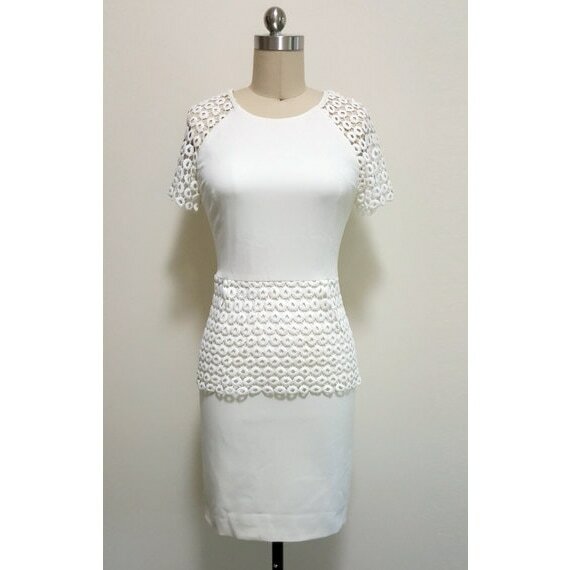 It features circular lace short sleeves and peplum waist. Due to popular demand, Lela Rose reissued the dress in July 2014. 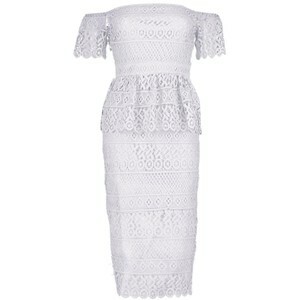 STYLE FILE: Lela Rose Ivory Circle Lace Peplum Dress as seen on Kate Middleton, the Duchess of Cambridge.